Ha! Roadside America is one of my favorite websites since it has info so many quirky, cool, unusual attractions in every state. But I was surprised to see that Bunny Man’s Bridge is listed! Here’s a blurb about it from Roadside America. I can’t give a complete or accurate description because so many different versions of the story abounded in high school. 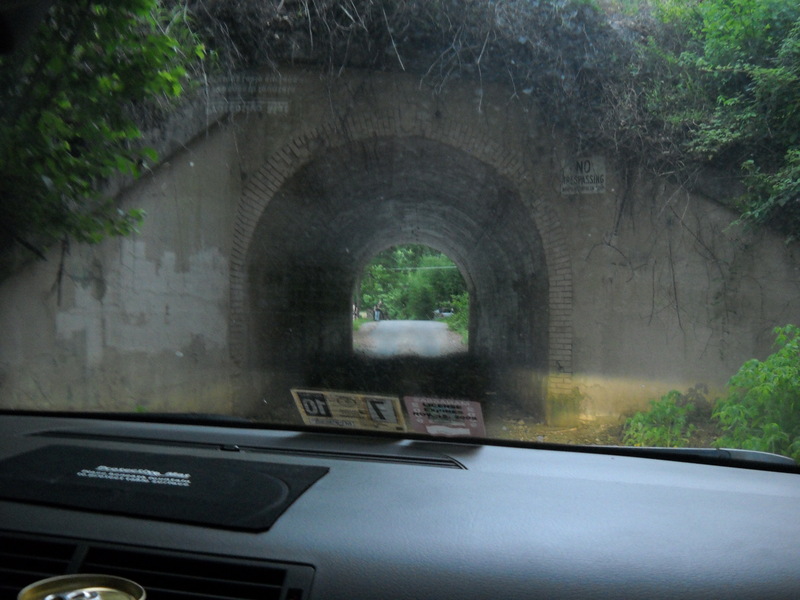 The story of the Bunny Man Bridge is pretty well known for those who live in Northern Virginia. The story that most people hear is that back in the early 1900s there was an asylum located in Clifton, Virginia. Residents weren’t happy about such a place so close to their homes, so they petitioned to get the asylum moved. At some point, all those who were living in the asylum were relocated by bus. An accident occurred during the bus ride, and everyone on board escaped. Within a few months, the escapees were found, except for 2 men: Marcus Wallster and Douglas Grifon. The police continued searching, and kept coming upon half-eaten rabbit carcasses. Eventually they found the body of Marcus Wallster by the Fairfax Station Bridge (today known as the Bunny Man Bridge). Believing it was Marcus responsible for the rabbit carcasses, they called him the Bunny Man. While still searching for the last missing man, Douglas Grifon, more rabbit carcasses were discovered. The search was called off after a few months of no leads, and people assumed the man had either died or left town. That is, until the supposed murders that occurred by the bridge. Remembering what had happened at the bridge only a year or so earlier, local teens went to the bridge on Halloween night to have what they thought would be a fun scare. The story goes that at midnight, several teenagers were hung at the bridge while one (who had wandered some distance from the group) managed to escape unhurt. In shock by what she had seen, and sputtering nothing but nonsense words, she was eventually charged with the murder of the other teens and sent to a home for the insane. More murder took place in the 1940’s, same as before. Group of teens out on Halloween night looking for fun. All are discovered dead. 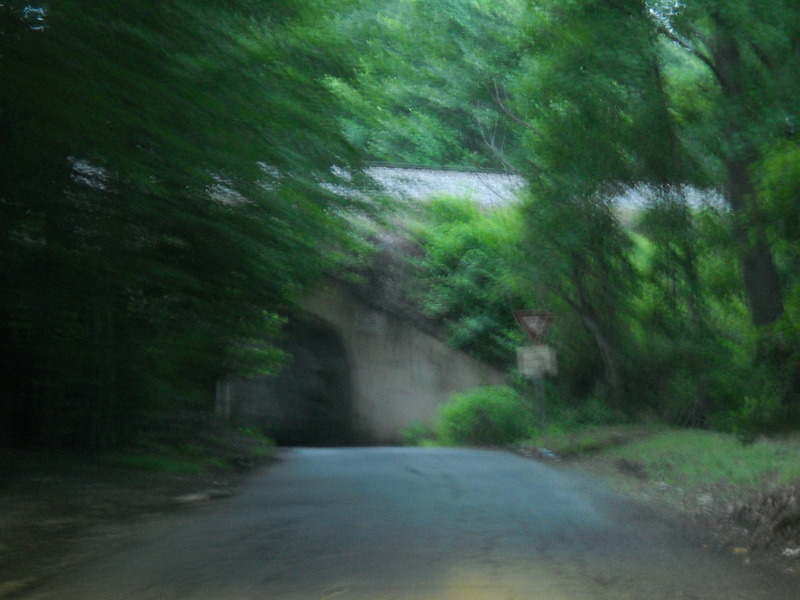 In the 1970’s, three more people were said to have been found murdered at the Bunny Man Bridge. Many people are skeptical about what has really happened around the bridge regarding the infamous Halloween “murders”. It’s hard to say if anyone ever actually died around the bridge or if someone just concocted a pretty darn good story. It was almost a rite of passage to visit it during high school. I, however, didn’t make it until I was 23 years old. It was dark and I had 3 other passengers with me, including you, JULIE!! (My sister) I was driving, and my friends and I were completely trying to outdo one another with spooky tales of what might happen once we arrived at the bridge. When you arrive, you notice that passage under the bridge is extremely narrow, and there was no way I was going to go through it, I was way too scared. Out there it is very dark, you’re away from the lights of other parts of suburbia, and that only makes it all the more frightening! I pulled up to the bridge, headlights illuminating the bridge while the passage through it was just a black hole. I tried to turn around (which is not an easy feat in this part of the narrow road), and when I finally did, I saw several dark shapes that were moving quickly in front of my car. Of course, since I was already scared to death, I screamed and pressed the accelerator. Well, I realized that it was just a bunch of teenagers, but it was funny to see them dart out of the way so quickly. At that moment, however, adrenaline had kicked in and my heart was pounding in my chest. The second, and only other time I have been back, was 2 years ago in the summer-in the daylight. This time I was with my boyfriend and his son. 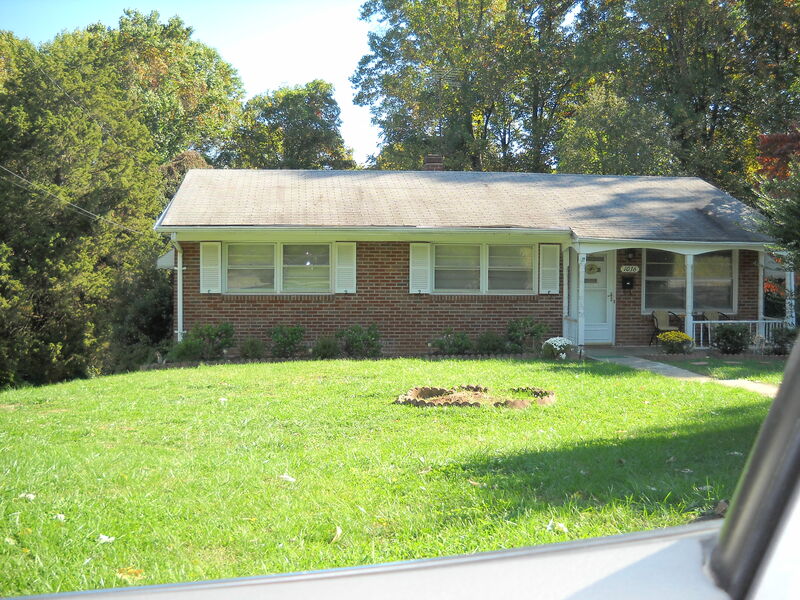 I wanted to show him one of northern VA’s haunts, and, it being daylight and all, thought I would be big and brave. Nope. As soon as we pulled up I got really nervous again. This time I could see what was on the other side of the bridge: people out for a walk, and even walking a dog. But they gave us these looks like we were trespassing. I got really scared again because of the intensity with which I perceived they were looking at us. If you click on the following picture it should enlarge it and you’ll be able to see the people in the background. That’s my Bunny Man’s bridge story. I am just a total nut case when it comes that bridge. 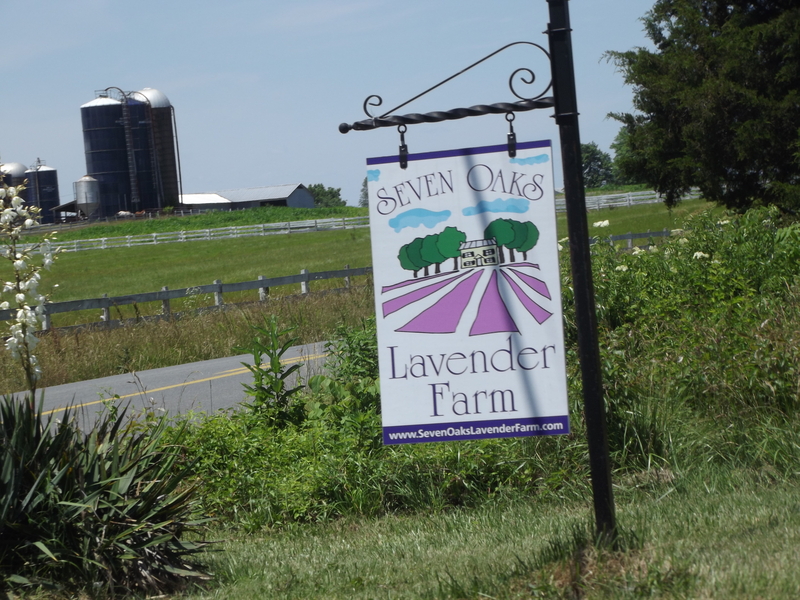 It’s a beautiful drive from Fairfax County to Seven Oaks Lavender Farm in Faquier County, VA. After getting past the town houses and strip malls of Fairfax and part of Prince William Counties, you enter farm land. 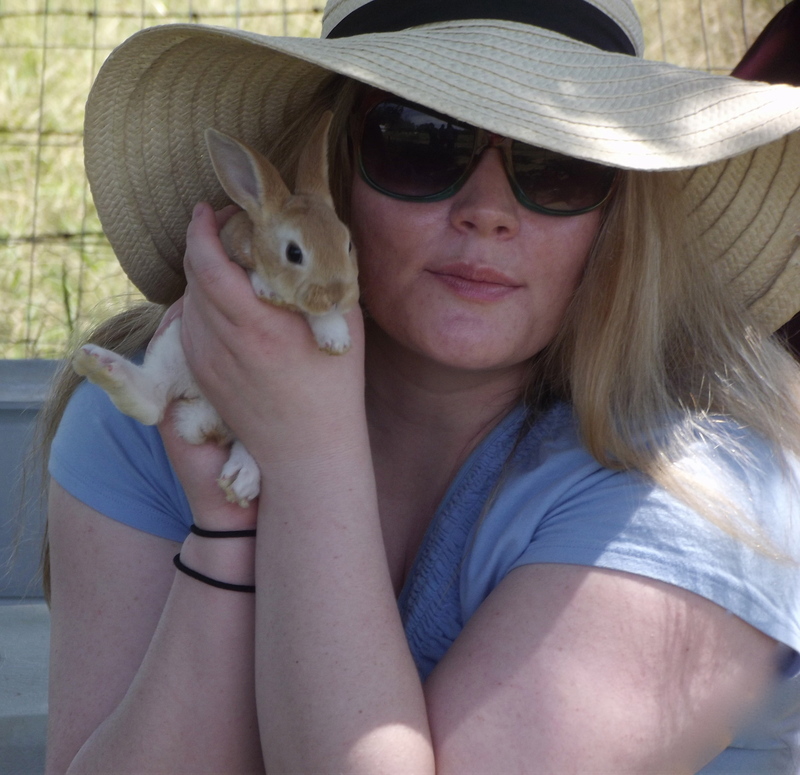 The day I went to this farm with my family was a hot day but at least it was not humid. The sky was a deep blue, the few clouds a bright white, and the summer green of the trees and grass went on for miles as far as the eye can see. A far, far cry from Centreville, VA where I live. Ducks by the dozens were lounging by a pond and cattle lazily roamed their pastures. There was even a tractor rolling down the two lane street holding up what little traffic there was. 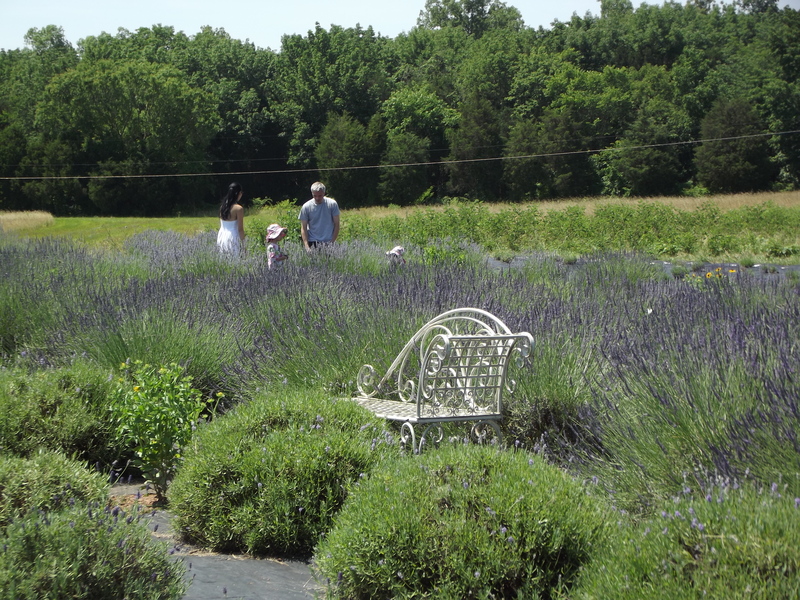 Soon enough, we saw a sign for Seven Oaks Lavender Farm, turned down that road, and parked. 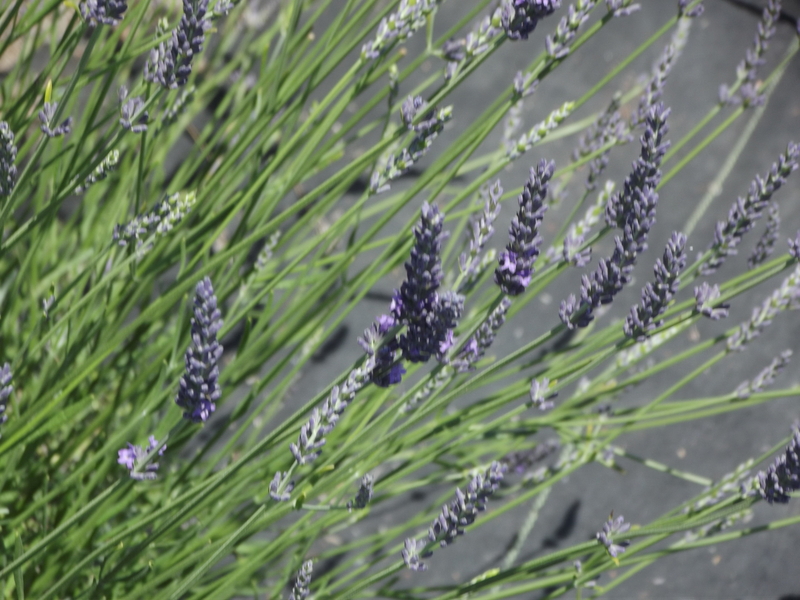 The farm covers a lot of land, but the lavender part of it is only a small portion. But, wow, is the scent strong and delightful! There’s a small shop called, what else?, the Lavender Shop, which sells tons of sachets of lavender, in addition to soap and lavender tea and water. My mom had a coupon deal that was for each of us in the family to be able to pick 50 sprigs of lavender for free. There were two kinds: English and French. The English was smaller and sweeter scented (according to the boy who was in charge of giving us info about the plants) while the French was taller and …I can’t remember the adjective he used for the French scent. I took so much delight in watching the bees and butterflies fly around the plants. Not only was lavender being sold, but so were baby bunnies!! They were sooooooooooo precious, and only $10. Sadly, I didn’t buy one 😥 They came in a variety of colors, from albino to jet black. They were the cutest, softest things ever!! I just loved them. I can’t believe I’d never heard about this fantastic farm until now! I recommend it to anyone looking for a day in the country, away from the city or ugly suburbia. Chateau O’Brien sits atop a mountain overlooking Markham, VA. As far as the eye can see there are mountains and trees, lots and lots of trees. The chateau itself looks like an Italian villa (or at least what I imagine to be an Italian villa) with a large patio which can hold many people. There is also a fire pit that can be used when it’s cold outside. It’s a wonderful place to sip wine and relax. 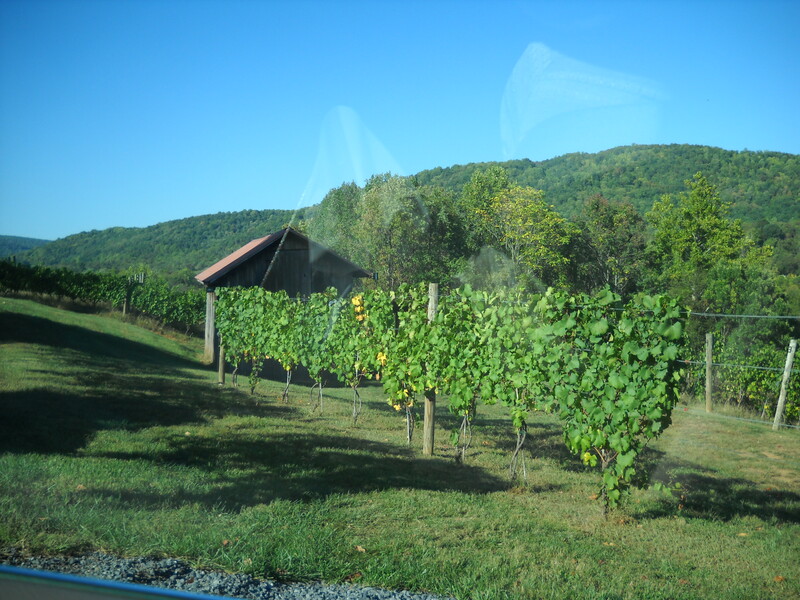 Wine tastings are very affordable, at $5.00 to taste 5 or 6 wines (can’t remember which number). They have a huge variety of wine, but sadly I am not a wine lover. I just go for the atmosphere, though I do admit to loving their most popular wine, the apple dessert wine. 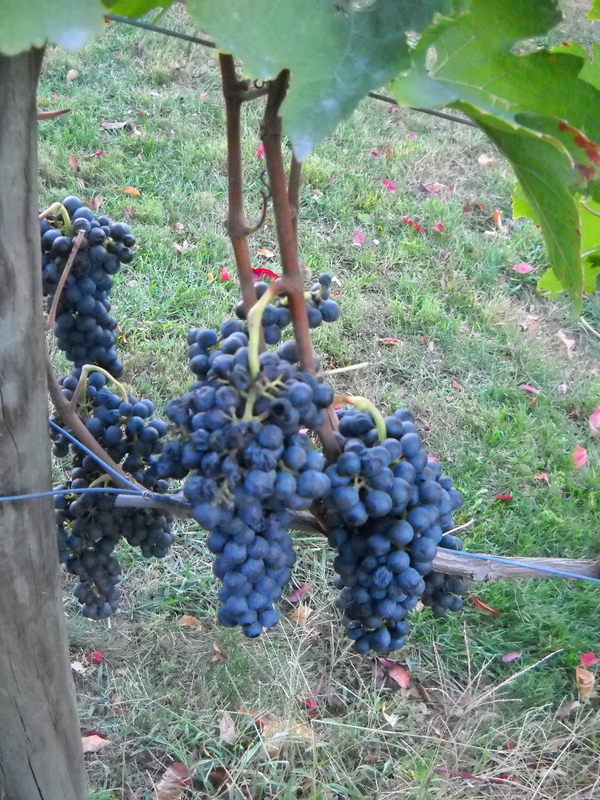 There is also an orchard on the property which makes this particular wine extra fresh and delicious. Small plates of cheese, bread and fruit are also available for purchase but they are way overpriced. An added bonus to this already incredible place is that the owners host live music on occasion. One September I was there enjoying the view while a musical guest was in the background singing and playing guitar. Don’t remember now what she was singing, but I can tell you that going to this winery is one of the most relaxing and fun ways to either enjoy an afternoon or wrap up a perfect day after apple or peach picking at Stribling Orchard, also in Markham. 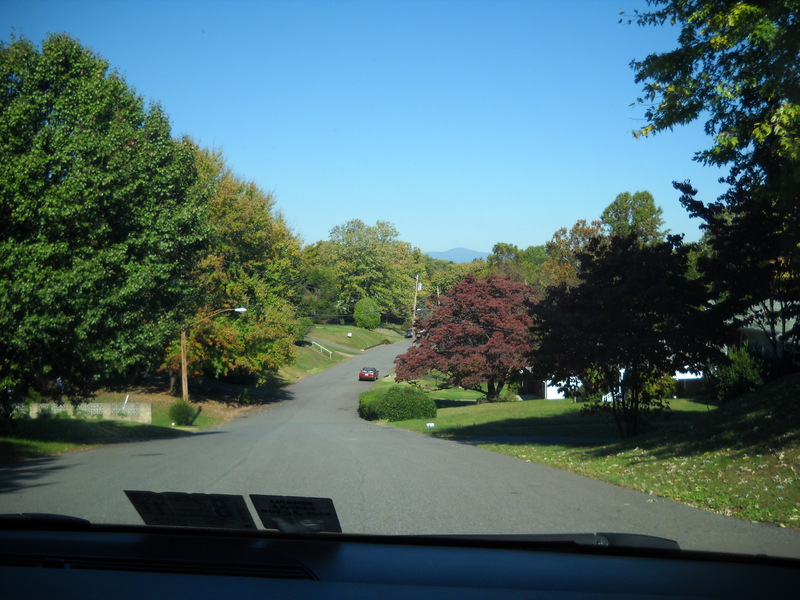 After you get out of the hustle and bustle of northern Virginia, the rest of VA is quite beautiful, especially those dear Blue Ridge Mountains. I think I will add this as a stop on my VA tour company! Cliche, but so true. My happiest times were in a little town called Lynchburg. I remember summer days playing on the swing set and running through the sprinkler, which was shaped funny and had a bunch of arms that sprayed water. I remember making snow angels, and friends from church and school, and fireflies that were so numerous they lit up the woods like a light show behind the house. I remember happy times and wee sing and playing with the neighbors, and the most fun Sunday school ever. I was happy there. I was good there. These were the days before badness and evil took over, the only place I have ever been truly happy and fulfilled. I miss it so much. I desperately long to be that happy little girl that was lost once she moved to a hateful place called Centreville.